It took years to talk Roger Federer into switching to a modern racquet, even though the need for it was so obvious. Now, it’s apparently going to take a while to talk him into modernizing his game. Even though the need is so obvious. 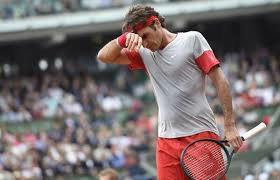 Federer lost to Ernests Gulbis 6-7 (7-5), 7-6 (7-3), 6-2, 4-6, 6-3 Saturday in the fourth round of the French Open, ending a run of nine straight years advancing at least to the quarters. Let’s start with this up front: I predicted that Federer would win this match, go on to beat Novak Djokovic and then lose to Rafael Nadal in the final. In other words. . .way off. But that pick was based on Federer finally – finally! – dropping the stubbornness and using the new, powerful racquet. He also had been using it to play more aggressively, attacking more. You do less of that on the red clay at Roland Garros, with the ball moving slower. But that doesn’t mean Federer needed to try to drop back five years. He just can’t keep painting by numbers. Federer still cannot talk himself into taking a low-percentage shot. What is the smart play here? What is the most efficient move? Look, guys such as Gulbis, younger, strong and talented, are going to take big-time chances. Think of it this way: Without the power that comes from the technology of the past four or five years, Gulbis would lose easily to Federer. So with the power? Why not go for big shots and see what happens? Gulbis, always known as a super-talented flake, was great for most of the match. Sometimes, you just can’t do anything about it. But at least you can try. 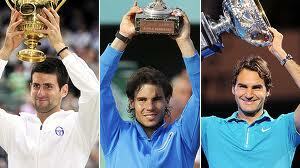 And all Federer did was drop back to 2009 and hope Gulbis would fall apart. Heaven forbid, Federer is going to have to take high-risk, big-time chances, too sometimes. 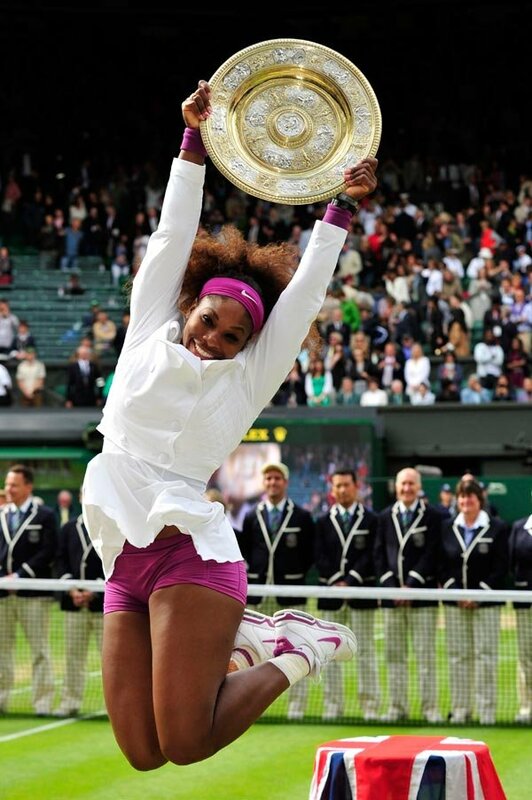 The truth is, in the modern game, more modern than Federer, the math has changed. It might not even exist. But if it does, Federer’s math is wrong. He finally has the racquet in his hand to do it, rather than the smaller, more-flexible, weaker stick he’d been carrying around for years. He was so talented that he was still good enough to use it to beat almost everyone, other than Nadal and the big, powerful flat-hitters who used the technology against him. Watching the match on Tennis Channel Saturday, you got a great look into Federer’s stubbornness. Jim Courier, an excellent analyst, was doing the match with Federer’s former coach, Paul Annacone. “How difficult is it to get Roger to play something. . .away from his standard game?’’ Courier asked. Next game, late in the fifth set with Federer in trouble, Tennis Channel had a graphic that showed Federer standing in the same place for 85% of his returns of serve. Courier said Federer needed to change things up, move to a different spot, give Gulbis a different target and get him out of his rhythm. After the fourth set, Federer got way too conservative, relying far too much on the percentages of five years ago. He hit nearly every ball to Gulbis’ backhand and didn’t go for winners. It allowed Gulbis to know what was coming and get even more aggressive than he had been. It allowed Gulbis to take control. Federer’s new racquet can do so much more. His body can, too. His mind just won’t have it. I don’t think Federer, at 32, is too old. He’s not as fast as he was, but he still moves better than nearly everyone on tour. He has plenty of power if he’s willing to use it. And he’s still more talented than almost everyone, too. He can still win majors. But he’s just going to have to take dumb chances at times, even if the laws of probability say not to. He has to become Roger WhyNot? REPORTING FROM WIMBLEDON, ENGLAND — It’s not that Roger Federer is great, but that his greatness keeps going and going and going. He doesn’t get hurt because he floats above the court. He doesn’t give in. He doesn’t get old. And it’s amazing that he has never had enough. He’s greedy about winning. It’s like he has an insatiable tennis libido or something. 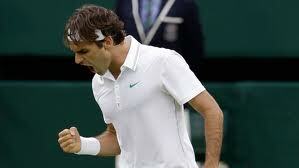 Federer won Wimbledon on Sunday, beating Andy Murray 4-6, 7-5, 6-3, 6-4. The key numbers are these: 17, 7 and 1. It was his 17th major championship, adding to his record. 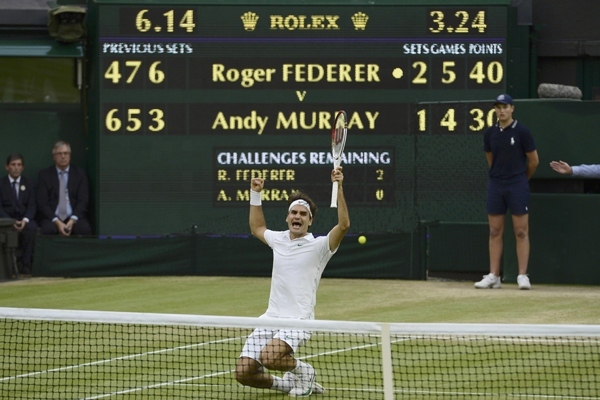 It was his record-tying (with Pete Sampras) seventh Wimbledon win. And now, Federer jumps over Rafael Nadal and Novak Djokovic — two guys who had bypassed him — in the rankings. Roger Federer is No. 1 again. Oh, it left him. Federer needed this championship badly. Great sports arguments work backward through history, step by step, impossible to resolve. Tiger Woods or Jack Nicklaus? Jack Nicklaus or Ben Hogan? Muhammad Ali or Joe Louis? Joe Louis or Jack Dempsey? John Elway or Joe Montana or Johnny Unitas? Somehow, we’ve all been convinced by opinion makers and SportsCenter, who can only sell the Greatest Of All-Time (GOAT), that what we’re seeing now is better than what we saw before. The only way to prove it, of course, would be to get those people through history together in their prime. That’s what’s different about the place men’s tennis is in now. “A very special time,’’ Roger Federer said. Unless opinion-makers are just at it again, working their magic, this might be the moment when the three all-time best meet. Novak Djokovic, Rafael Nadal and Roger Federer go into the French Open this weekend aiming for a different and defining spot in history.